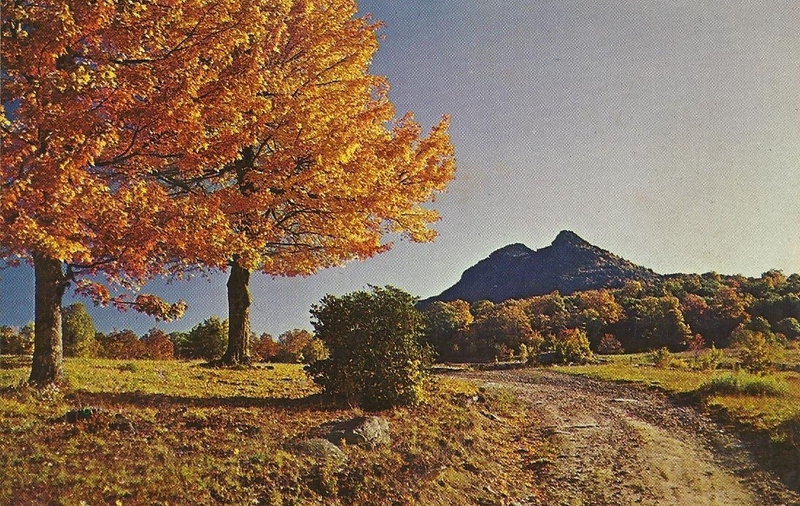 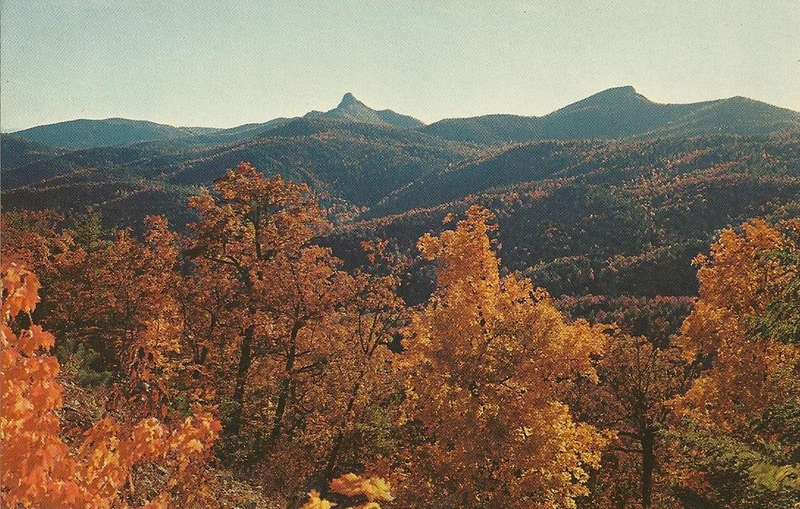 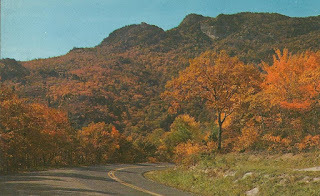 View along the Yonahlossee Trail (U.S. 221) between Blowing Rock and Linville shows the Grandfather Mountain profile. 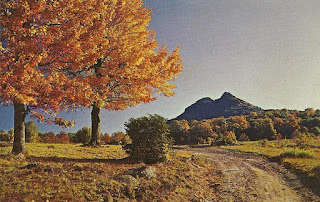 Table Rock (left) and Hawk's Bill (right). 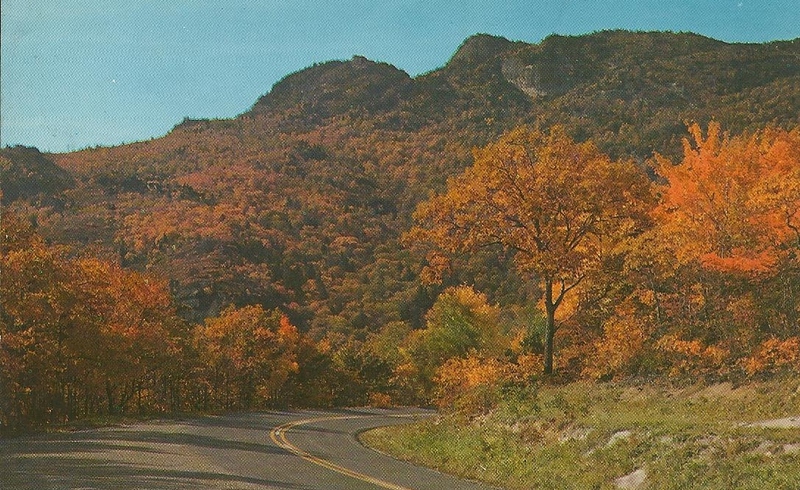 View from N.C. 181 between Morganton and the Blue Ridge Parkway.